In recent years, the young, educated, and affluent have surged back into cities, reversing decades of suburban flight and urban decline. And yet all is not well, Richard Florida argues in The New Urban Crisis. 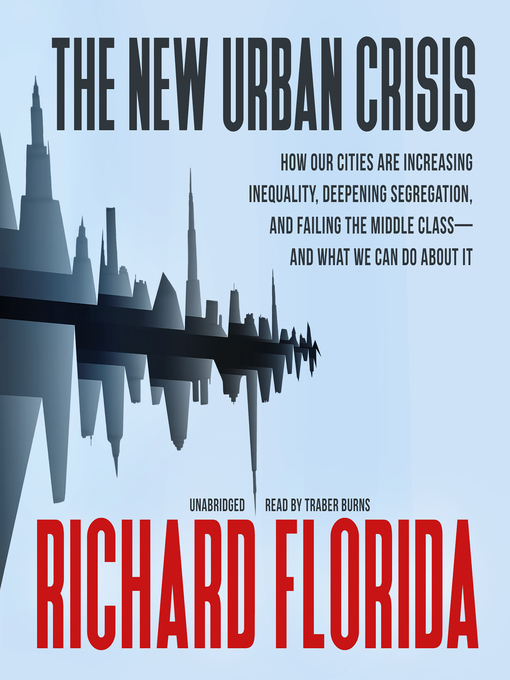 Florida, one of the first scholars to anticipate this back-to-the-city movement in his groundbreaking The Rise of the Creative Class, demonstrates how the same forces that power the growth of the world's superstar cities also generate their vexing challenges: gentrification, unaffordability, segregation, and inequality. Meanwhile, many more cities still stagnate, and middle-class neighborhoods everywhere are disappearing. Our winner-take-all cities are just one manifestation of a profound crisis in today's urbanized knowledge economy. A bracingly original work of research and analysis, The New Urban Crisis offers a compelling diagnosis of our economic ills and a bold prescription for more inclusive cities capable of ensuring growth and prosperity for all.